Losing one’s hair can be a traumatic experience. If you’re experiencing hair loss on your head, you may be one of the millions of Americans who are affected by alopecia. Below, we discuss the various types of alopecia and the forms of hair loss it causes. In the case of alopecia areata, the hair follicles – the structures from which hair grows – start to shrink until they no longer produce hair. During this process, hair begins to fall out in small patches. A type of autoimmune disorder, alopecia areata occurs when the immune system mistakenly attacks the hair follicles. This type of hair loss occurs in round patches. Androgenic alopecia is hereditary, and most people know it as “pattern baldness.” It affects men as a receding front hairline or thinning hair on the crown (top) of the head; it affects women as thinning hair across the natural “part” in their hair. In alopecia totalis, people may suddenly lose all of their scalp hair – which can be a source of embarrassment for those suffering from the condition. It’s an advanced form of alopecia areata. Alopecia universalis is the total loss of hair throughout the body. In this condition, the eyelashes, eyebrows, beard, and other areas may shed all of their hair. An elusive disorder, researchers in the medical field aren’t quite certain what specifically triggers this reaction in the immune system. One commonality among those suffering from alopecia is a family history of autoimmune diseases. Thyroid disease, lupus, vitiligo rheumatoid arthritis, and ulcerative colitis are all associated with alopecia areata. 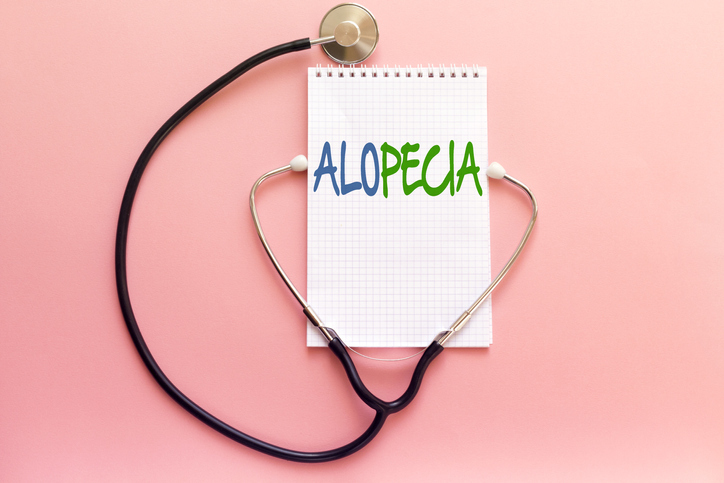 However, according to the American Academy of Dermatology, alopecia most often occurs in healthy people – usually affecting those who are in their 30s to their 60s. For people dealing with hair loss, it is a good idea to seek the advice of a hair restoration specialist. A diagnosis may be determined after a simple examination under a microscope; in other circumstances, a scalp biopsy may be required. If another autoimmune disorder may be a possible culprit, blood work may be recommended. Your course of treatment will depend on your unique symptoms. Although there is no cure for alopecia, there are a variety of treatments available to help diminish the effects of this condition. Some forms of hair loss are temporary, such as hair loss that results from trauma or chemotherapy. Talk to your physician about your symptoms, and they will be able to review the options you have. Each person will respond uniquely to different treatments. According to the National Alopecia Areata Foundation, those with more than 50 percent hair loss may still benefit from oral and topical medications to stimulate the regrowth of hair. Phototherapy and light treatments utilize a combination of oral medication (psoralens) in tandem with a UV (ultraviolet) light as a catalyst for hair growth. Who Can Help Fix My Hair Loss? While there are many reasons for hair loss, the journey toward healthier hair starts with a single step: a trip to a hair restoration specialist. Dr. Niedbalski and his experienced team at Northwest Hair Restoration offer a host of options for those with baldness and hair loss. 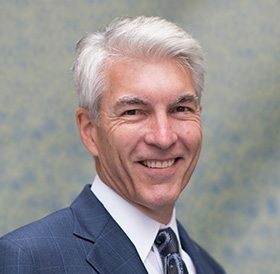 Our unique combination of compassionate care and technical skills have made us trusted hair restoration specialists throughout the Sea-Tac and Spokane region. For more information or to schedule a consultation, call us today at (253) 572-2949 or complete our online appointment request form. We look forward to helping you look younger and feel great about yourself!